﻿ What does it mean to be allergic or intolerant to dairy? - I AM Co.
Home / Nutrition / What does it mean to be allergic or intolerant to dairy? What does it mean to be allergic or intolerant to dairy? These days it seems that everyone is intolerant or allergic to something. If you’ve ever run an event where you have had to cater for different dietary types, the list is endless … gluten free, wheat free, dairy free, egg free, peanut free etc! Has the world gone nuts (excuse the pun) or are all these allergies and intolerances a real ‘thing’ and we were just never aware of them before? Well, we’ve come a long way from the days of the staple meat and three veg and our diets have changed considerably from those who went before us. So, given the advances we have taken in medicine as well, it’s no wonder we are now able to know what is going on inside and outside our bodies like never before. For this blog, we’d like to focus on the subject of dairy and hope to alleviate any misunderstanding for you if this is something you think you may have an allergy or an intolerance to. Or perhaps you would just like to know what the difference is. Firstly, let’s explain what we mean by ‘dairy’, because if you’ve ever lived in the UK and said, “I’m just popping down to the dairy,” you’re likely to have been given a very strange look. A dairy, of course, is where cows reside … not the corner shop where you buy your milk and paper – unless you live in New Zealand! For the purposes of this blog, by dairy we mean milk, cheese, butter, cream – generally any product made from the milk products of animals or produced in the mammary glands. Tree sap (also known as milk) is not counted. Dairy products are a great source of protein, fat and sugar, and milk in particular is responsible for creating healthy growth of bone structure and muscle. I would imagine for most of us we started having milk regularly from a very young age. Starting with either our mother’s milk, or formula, and ending up with drinking straight from the carton or bottle. Milk has been marketed to us for eons as a way of helping with strong teeth and bones and providing a great source of calcium. Fast forward to today however, an age where we seem to be a lot more aware of what is going on in our bodies and how the food and drink we consume have a noticeable effect on the way we feel. Perhaps you have become aware that milk and its by-products do not make you feel good. But how do you know if it’s due to an allergy or rather an intolerance? Well, what might surprise you is that we are all born with lactose intolerance! It’s just that the levels of our intolerance differ. And that makes total sense, as we are all completely unique individuals whose bodies are not ‘one size fits all.’ However, we are not all born with a dairy allergy and there is a distinct difference between an allergy and an intolerance. So, what is it? Lactose intolerance involves the digestive system. If you are intolerant to lactose (a type of sugar in milk) it means that your body does not make lactase, which is needed to digest lactose. This means that the milk does not digest effectively in your stomach and the un-digested lactose then moves into your colon. The effect of this on your body is that it causes gas and bloating, which as we all know is a rather undesired symptom which can either be embarrassing, uncomfortable, or both. But the good news – it’s not fatal! A dairy allergy, on the other hand, involves your immune system, and can be fatal. Again, there are differing levels of how allergic you are, but it can cause a reaction in other parts of your body, including your lungs and skin. While the normal symptoms of both lactose intolerance and dairy allergy can appear the same (bloating, nausea etc), a severe dairy allergy can cause anaphylaxis which is a medical emergency. Whilst you may now feel comfortable in the knowledge that you know the difference, we still recommend that you find out for sure! The best way to do this is by visiting a nutritionist or allergist. They will be able to give you a skin-prick or blood test, so nothing too taxing! The good news is that whatever the results, both lactose intolerance and dairy allergies are manageable. 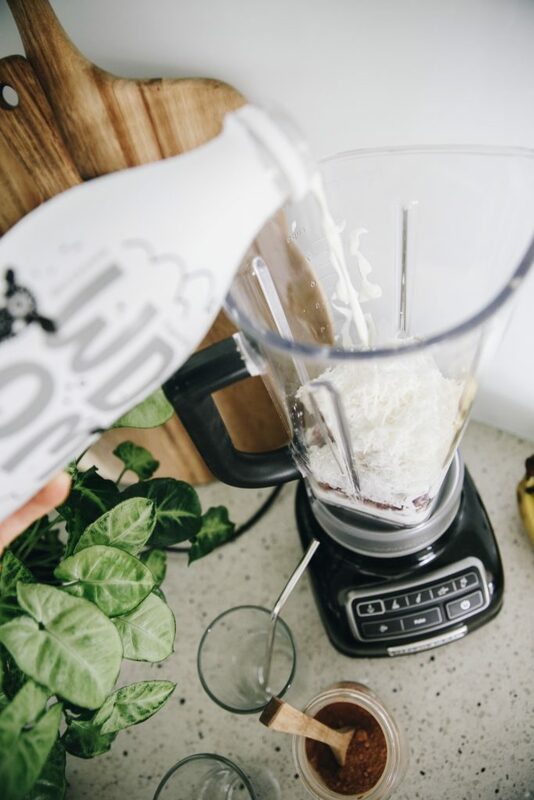 As well as the option of avoiding all milk products, there are plenty of substitutes on the market now that cater for those of us that suffer the effects of dairy. It’s no wonder really, given the amount of us who do; 30 million Americans have a lactose intolerance by 20 years of age! For those seriously allergic to dairy, you should visit your doctor who may prescribe an auto-injector containing epinephrine (adrenaline) such as an EpiPen, to slow down or stop an allergic reaction. By now, with all this talk about dairy, you are probably craving something milky (just because we have an allergy or intolerance doesn’t mean we don’t like something, right?) So we have included a full size bottle of Lactose Free Full Cream Milk from WDOM in the October Delight Box especially for you to try. We hope you will enjoy this lactose free delight, whether as a pure drink or by including it in a favourite recipe. 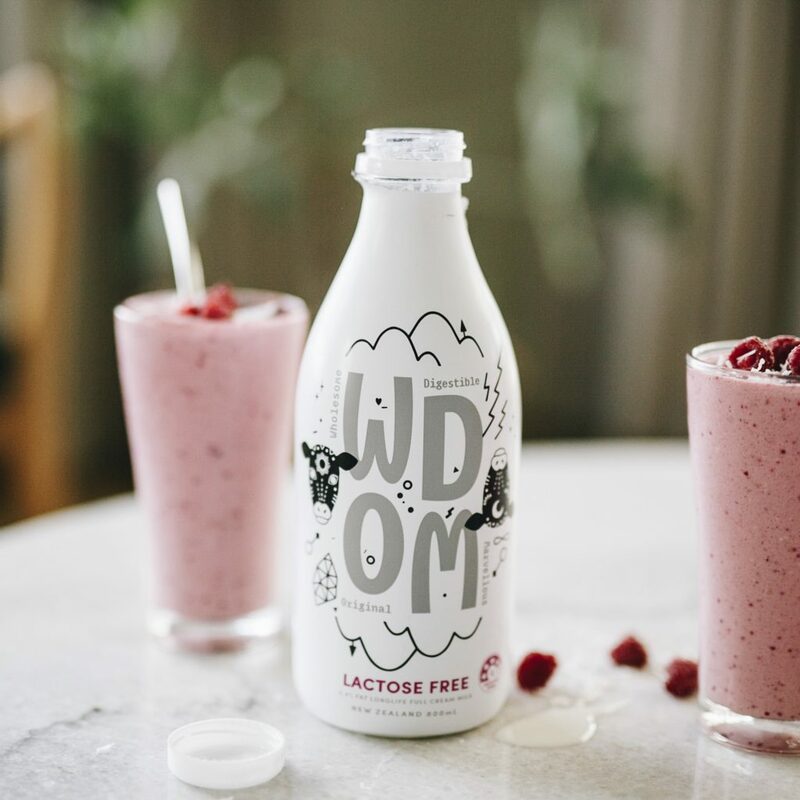 WDOM begin with a premium, full cream milk and then use a natural enzyme to remove the lactose – a process which occurs inside the POS packaging – without the use of additives or preservatives. The removal of more than 99% of the lactose, using natural methods, makes this great drink easily digestible and accessible to a new, global market of milk drinkers. Please let us know what you think! We love getting feedback.